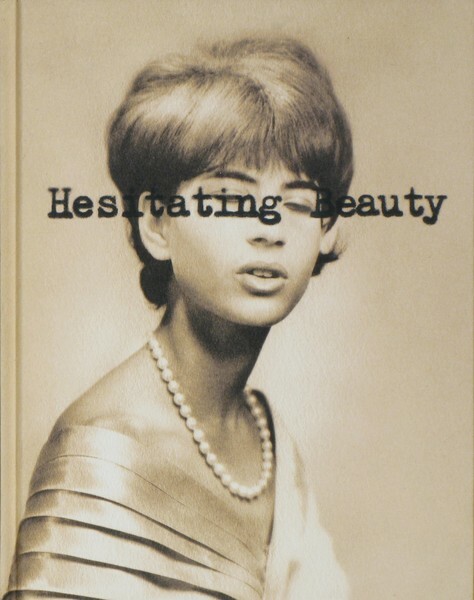 The cover of faculty member, Josh Lutz’s new book lures you in; it’s title, “Hesitating Beauty” is printed directly across the blinking eyes of a woman in pearls and an evening gown. She has been caught mid-blink, or possibly mid-sneeze, during a formal portrait session. Something is curiously amiss. To fully appreciative Lutz’s unsettling story, one has to spend engaged time with “Hesitating Beauty”. It is not a coffee table book to be casually flipped through or decoratively displayed. 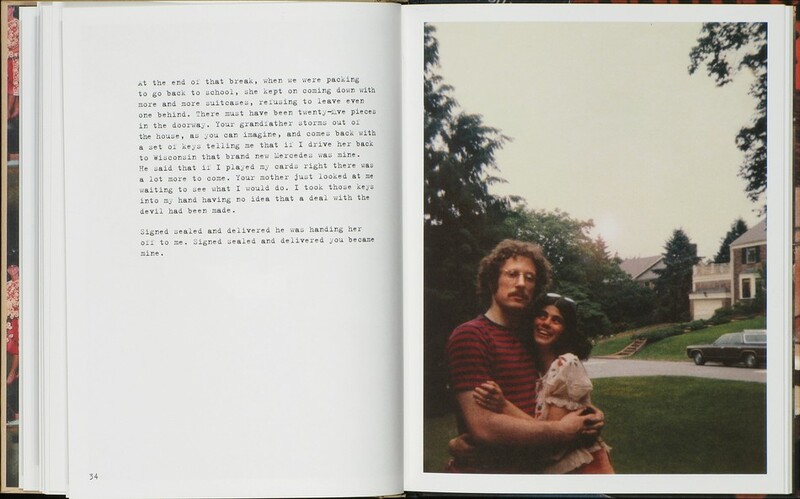 Lutz combines his family’s photos seamlessly with his own narrative images, as well as disorienting text from myriad unnamed sources in an endeavor to explore his mother’s decent into mental illness. There is an unsettling contrast between Lutz’s family photos, full of smiling faces, and his more recent images of his mother in various hospital settlings. The text further complicates the narrative, painting an even more incongruous story. During his lecture at ICP this past month, Lutz shared deeply personal stories from his childhood: watching his mother unscrew the phone looking for hidden recording bugs and searching for patterns in license-plate numbers. This apophenia is artfully conveyed in Lutz’s narrative images: a crashed school bus and suburban mailbox each bare the numbers 666, a highway exit sign has no street information. 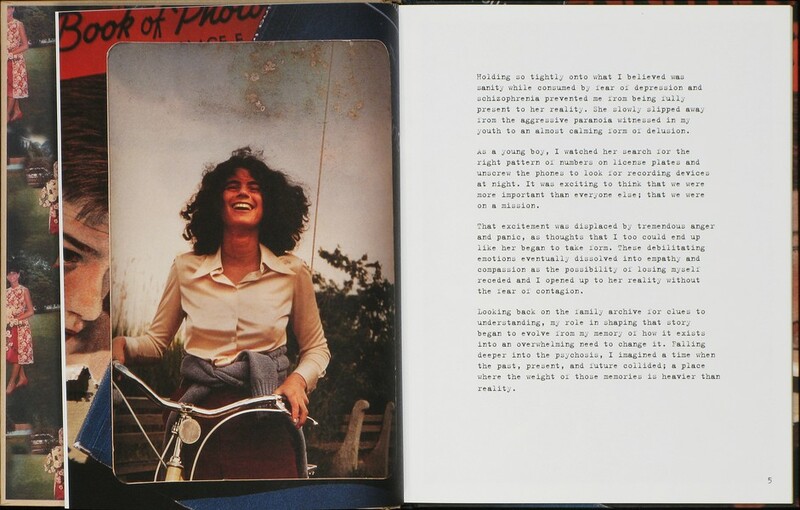 “Hesitating Beauty” ’s mix family’s photos, narrative images and disorienting text fosters uncertainty, both in the nature of memory and the authority of photography. The disoriented reader experiences what dealing with illness feels like, rather than how illness looks. 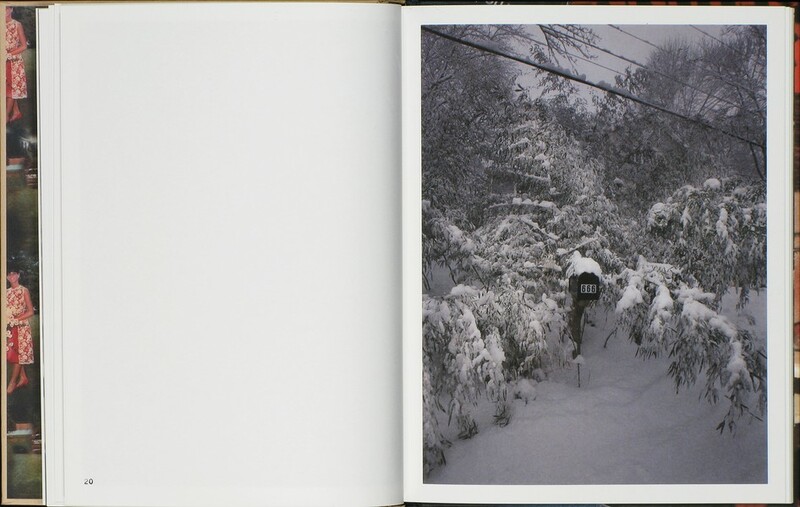 “Hesitating Beauty” is available for review at the ICP Library or for sale at the ICP Store. 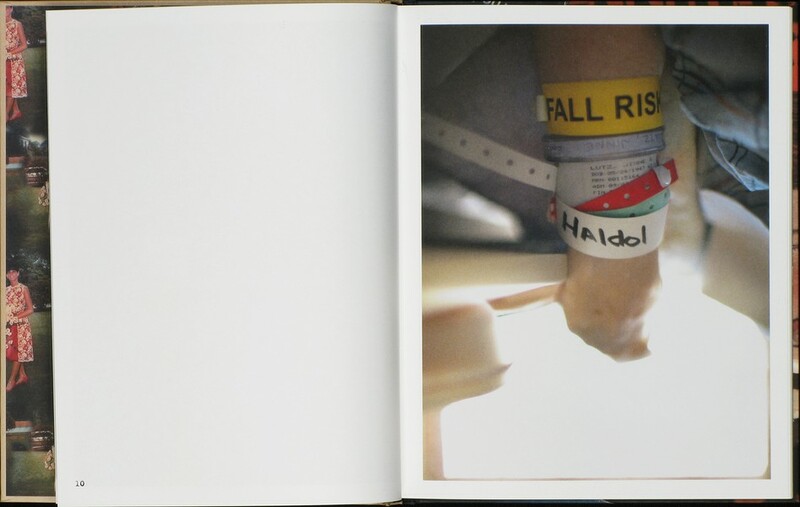 This entry was posted in artists' books, Events, ICP alumni and tagged Hesitating Beauty, Josh Lutz, Liz Sales. Bookmark the permalink.